Lyme disease is best treated in the early stages. 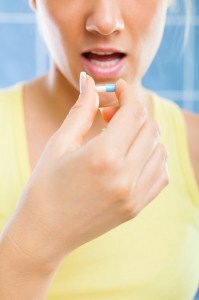 Early Lyme Disease Treatment is a simple 14 to 21 day course of oral antibiotics. This can eliminate all traces of infection, but improves slower than with IV treatment. *It’s unknown why symptoms sometimes continue after the bacteria has been destroyed. Some doctors believe that persistent symptoms occur in people who are more proned to infections due to the presence of an autoimmune disease. For detailed recommendations on treatment, consult the 2006 Guidelines for treatment developed by the Infectious Diseases Society of America. 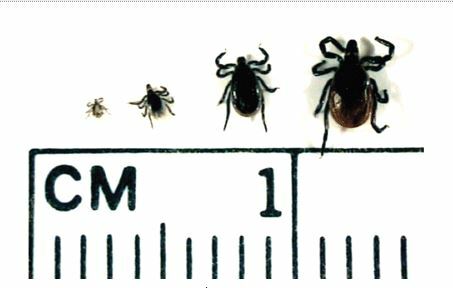 Approximately 10-20% of patients (particularly those who were diagnosed later), following appropriate antibiotic treatment, may have persistent or recurrent symptoms and are considered to have Post-treatment Lyme disease syndrome (PTLDS). The National Institutes of Health (NIH) has funded several studies on the treatment of Lyme disease which show that most patients recover when treated with a few weeks of antibiotics taken by mouth. For details on research into what is sometimes referred to as “chronic Lyme disease” and long-term treatment trials sponsored by NIH, visit the NIH Lyme Disease web site. Erythema migrans. Doxycycline (100 mg twice per day), amoxicillin (500 mg 3 times per day), or cefuroxime axetil (500 mg twice per day) for 14 days (range, 10–21 days for doxycycline and 14–21 days for amoxicillin or cefuroxime axetil) is recommended for the treatment of adult patients with early localized or early disseminated Lyme disease associated with erythema migrans, in the absence of specific neurologic manifestations (see Lyme meningitis, below) or advanced atrioventricular heart block (A-I). Doxycycline has the advantage of being effective for treatment of HGA, which may occur simultaneously with early Lyme disease. Antibiotics recommended for children are amoxicillin (50 mg/kg per day in 3 divided doses [maximum of 500 mg per dose]), cefuroxime axetil (30 mg/kg per day in 2 divided doses [maximum of 500 mg per dose]), or, if the patient is ⩾8 years of age, doxycycline (4 mg/kg per day in 2 divided doses [maximum of 100 mg per dose]) (A-II). Lyme meningitis and other manifestations of early neurologic Lyme disease. The use of ceftriaxone (2 g once per day intravenously for 14 days is recommended for adult patients with acute neurologic disease manifested by meningitis or radiculopathy. Therapy with cefotaxime (2 g intravenously every 8 h) or penicillin G (18–24 million U per day for patients with normal renal function, divided into doses given every 4 h), may be a satisfactory alternative. For patients who are intolerant of β-lactam antibiotics, increasing evidence indicates that doxycycline (200–400 mg per day in 2 divided doses orally for 10–28) days may be adequate. For children, ceftriaxone (50–75 mg/kg per day) in a single daily intravenous dose is recommended. An alternative is cefotaxime (150–200 mg/kg per day) divided into 3 or 4 intravenous doses per day or penicillin G divided into doses given intravenously every 4 h for those with normal renal function. Children ⩾8 years of age have also been successfully treated with oral doxycycline at a dosage of 4–8 mg/kg per day in 2 divided doses. Lyme carditis. Patients with atrioventricular heart block and/or myopericarditis associated with early Lyme disease may be treated with either oral or parenteral antibiotic therapy for 14 days (range, 14–21 days). Hospitalization and continuous monitoring are advisable for symptomatic patients, such as those with syncope(fainting), dyspnea, or chest pain. It is also recommended for patients with second- or third-degree atrioventricular block, as well as for those with first-degree heart block when the PR interval is prolonged to ⩾30 milliseconds, because the degree of block may fluctuate and worsen very rapidly in such patients. A parenteral antibiotic, such as ceftriaxone, is recommended as initial treatment of hospitalized patients. For patients with advanced heart block, a temporary pacemaker may be required; expert consultation with a cardiologist is recommended. Use of the pacemaker may be discontinued when the advanced heart block has resolved. Borrelial lymphocytoma. Available data indicate that borrelial lymphocytoma may be treated with the same regimens used to treat patients with erythema migrans (see above) (B-II). Pregnancy. Pregnant and lactating patients may be treated in a fashion identical to nonpregnant patients with the same disease manifestation, except that doxycycline should be avoided (B-III).